I’m about to begin my fourth year working for Rover-Time. I began as a dog walker and pet sitter for the company. I was eventually promoted to Team Manager and then became their Operations Director, which is the role I’m presently in. While I’ve personally witnessed the company grow and shift in new directions over the last few years, one thing has always stood true has been the company’s dedication to its walkers. These stellar individuals sincerely make everything possible. They’re always ready to care for our customer’s pets like they were their own and without them, there would be no Rover-Time. In order to maintain an all-star team of caretakers, you have to take care of them like all-stars. #1. I am set up for success. 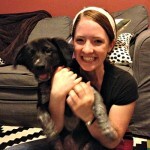 I wasn’t just wished good luck and thrown into homes on my first day with Rover-Time. Before meeting a dog, I was given a hefty amount of reading to expand my understanding of dogs. Next, I received a full week of one-on-one training with a member of the Leadership Team. I spent the first week training shadowing my Team Manager through each visit, observing best practices in each home and receiving general insights on keeping pups safe and happy on their walks. The support continued after my training week was done. If I have a question, I resourced my manager. She & I kept in touch daily and as a team, the other walkers and I checked in with management often to ensure that everything is running smoothly out in the field. I attended every Meet & Greet with any new customer joining my route. 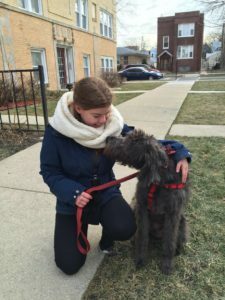 I had the opportunity to learn about the dog from its owner and could discuss questions I might had directly with the pet parent. I never feel like I’m blindly walking into someone’s home to just figure things out. As a dog walker with Rover-Time, I was given a ton of professional development opportunities to further my skills as a Pet Professional. Now, in my role as Ops Director, I help plan our monthly meetings to ensure they include an educational component. We tap professional dog trainers to present on dog behavior and answer specific questions or concerns the dog walkers may have about specific animals in their care. With all this helpful knowledge, when it came time for me to adopt my own dog, I felt so prepared! Our entire team is covered under Rover Time’s Workers’ Compensation Insurance Policy as well as its General Liability Insurance Policy. If I get hurt, I know the company has my back. Bottom line, I feel safe at work. I’m walking into each visit with the training, knowledge, and support to ensure that everyone (including me!) is safe and happy. #2. Our team of dog walkers get the schedule they need. When one commits to the idea of dog walking to make ends meet, they want to walk as much as possible but only have so much time to scour a website, sort through available work, and then hash out the logistics of scheduling and communication to get those walks on their calendars. What’s great about Rover-Time is the fully staffed office supporting our team. Our Scheduling Coordinator handles all incoming requests from our clients. If our walkers are looking to stay busy with walks or even pick up extra work like house sitting, there are so many opportunities to do so. All you have to do is let management know what you want to take on and they’ll run incoming jobs by you. If your regular daytime schedule is experiencing a slowdown, there are all kinds of opportunities to bulk up your schedule by stepping in as a substitute on another route. As much as you are willing to hustle, Rover-Time is willing to provide you with the opportunities to do so. But in a way that is so convenient and easy. Rover-Time can tailor our dog walker’s schedules to work with other commitments they may have. When a member of our team needs to teach a class on a Tuesday at 3:30, that’s no problem! The Team Manager keeps an eye on everyone’s schedule and ensures they’re able to wrap up their walks in time to make it to the class with plenty of time to spare. Our entire team receives paid time off each year for sick days and vacations. This is a huge differenientor from other companies, especially smaller companies that contract with Independent Contractors. #3. The team culture is amazing. We place a lot of value in our team culture. Although we’re working solo in the field, we’re still very much a team. We hold a team meeting each month, chat daily using a messaging app, take part in scavenger hunts and photo contests, volunteer together, and regularly catch up with each other at team happy hours. We may come from different walks of life but we all share the same love for animals. Our conversations are filled with joy, humor, and oh so many adorable pictures of dogs doing the goofiest of things. We support each other’s schedules and step in for each other when it’s needed. We support each other outside of work by attending our team member’s concerts and shows. We celebrate successes and milestones. We celebrate each other. Working with dogs certainly has its perks but working for a company that cares about me makes all the difference. It elevates the experience and makes what could be just a part-time job into something that keeps me invested and dedicated to Rover-Time’s success. Watching Rover-Time invest in its employees builds my confidence that this company has lasting power, will not burnout quick, and is here to stay for its customers and Chicago’s greater pet community. Don't be a Wag Walker. I've heard some great things about your company, and was going to apply as a walker, sitter, etc. I just realized you're in Chicago. Have you ever moved to New York. If not, what company would you recommend working for.